Why Traps? It rhymes with Caps. That's all. For all intents and purposes the point of this section is to help those new to cryptocurrencies in an effort to aid in adoption. A wide range of individuals, corporations, and industries have a vested interest in public cryptocurrencies failing. They have and will continue to cite every scam and each victim to further their own less-than-honorable objectives. The more awareness we can bring the less victims there will be. This ultimately helps innocent people that are interested in cryptocurrencies as well as adoption in general. I would like to preface our 'Traps' section with a simple point: Wherever money flows criminals and scams are not far behind. This is not something unique to cryptocurrency. On the contrary the majority of scams, frauds, and schemes are nothing more than recycled or reinvented forms of deception previously used in other industries, fields, and financial markets. Nevertheless, it is always better to be safe than sorry and with that in mind we present the 'Traps' section of our site. Hopefully in time this section will become completely unnecessary, but that time is not yet here. While there are many great opportunities for those interested in cryptocurrencies, there are also a wide range of scams that, with the proper knowledge and some common sense, can be pretty easily spotted as simply "too good to be true." These show up across a wide range of social media platforms, but have gained the most visibility on Twitter. 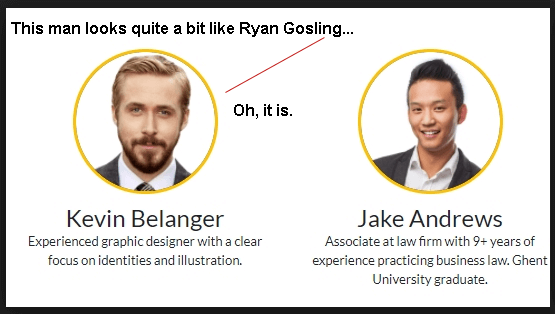 The scam is pretty basic in design. A scammer creates a fake account to look like a well-known person (examples include Elon Musk and Vitalik Buterin). They will respond to a tweet (often of the person they are posing as) claiming to be giving away some amount of cryptocurrency to all those who send a smaller amount to them. 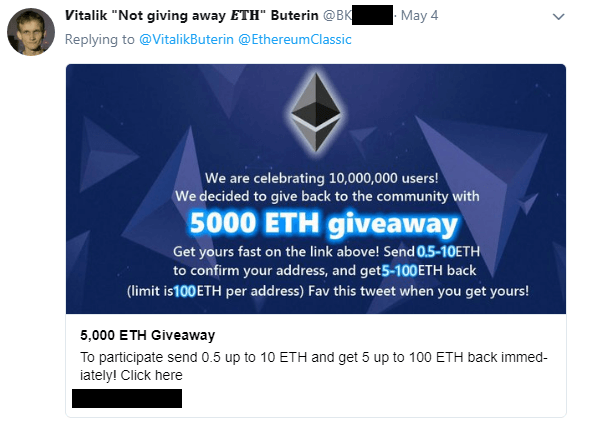 To push it further the scammers also often have additional fake accounts respond to their tweets with lines like 'I didn't believe this to be true, but I just got 10 ETH!' or 'Oh man I coulda swore this would be a scam, but hand to God its not - I got a new house on Mars from Elon Musk' and so on. Finally the scammers will often create transactions on the address they ask the funds to be sent to to make it appear as if they actually are sending out the promised cryptocurrency. They are not. These are all scams. Report these scams and the follow up fake users to Twitter and hopefully in time this scam will die out. Essentially this scam works by notifying that you have received an airdrop or a prize containing some free tokens. They even provide you with the private key. Neat, right? I mean it is the private key and all... the catch is that the address needs some gas to transfer the tokens out... so you send some. However, as soon as it is sent a bot or smart contract automatically redirects the transfer to the scammer's desired destination. As it is cheaper to move the ETH out than the ERC20 tokens you've been promised the scammer will net the difference between what you sent and what it cost to move it out. One additional method employed in this scam is to 'accidentally' post the private key when asking for help moving tokens or something similar. Be careful out there. Just like with any other investment sector, cryptocurrency is not immune to Ponzi schemes. 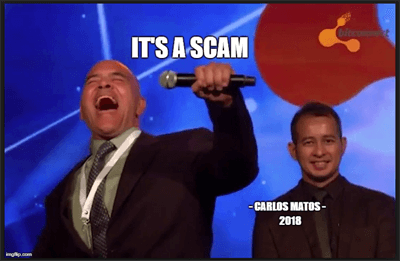 In an effort to help people spot them we will cover the largest and most well-known Ponzi scheme the cryptosphere has ever seen: BitConnect. BitConnect sold itself as an exchange and investment lending platform. They were full of multi-level marketing-esque language and conferences that have become the stuff of legend. Unfortunately the numerous memes spawned from this debacle do little to comfort the people who lost large amounts of money. At one point BitConnect had a market cap of over 2.5 billion dollars and a per token price of over $450. BCC now floats around one dollar and isn't even truly worth that. In another example of 'too good to be true' BCC made promises of nearly 1% a day dividends (which could compound to over 3750% a year). In true ponzi and MLM fashion, investors were also encouraged to bring others into the BCC family with a multi-tiered referral system. An obvious ponzi and pyramid scheme red flag. I do believe many well intentioned and otherwise prudent people likely got caught up in the general hype that surrounded the end of 2017 and sadly found themselves in the middle of the BCC ponzi. Before long cease and desist orders began coming in from regulators in North Carolina and Texas and the rest is history. Exit scams, yet again, are not unique to cryptocurrencies. It is another scam common in the business world where essentially a business continues making sales with no intention of holding up their end of the agreement (shipping a product, completing a service, etc). An ICO exit scam is typically pretty similar in design: make an announcement, create a website, make large claims, create a mailing list, possibly create a whitepaper, shill, open up deposits for the ICO, wash the money, attempt to disappear. How can I avoid ICO exit scams? While it is impossible to be 100% secure when investing in ICOs, there are logical and reasonable steps one can take to protect their investments and avoid these scams. Do they have a whitepaper or any credible writings? If so that is good. Hopefully they are not plagiarized - many have been. Ignore hype. Some less than ethical ICOs have been known to pay people to shill for them on Reddit, Twitter, and other social media platforms. Do they make outlandish financial promises? It is one thing to make large technology promises - we want breakthroughs, that is what we're here for after all. However, it is another thing entirely to make large financial promises. Promising any kind of return is questionable. Promising huge gains is something no one can truthfully promise. Be wary of those that make these promises. If they claim and use GitHub/BitBucket or another open source development site how active is it? Again, not all with great activity will succeed and not all without activity will fail. This is just another step to take to ensure you are doing your due diligence. Again, phishing is far from unique to the cryptocurrency universe and while most people investing in cryptocurrency are likely fairly familiar and safe from most phishing attempts, there are some worth learning about. Possibly the most successful and thus dangerous crypto-related phishing scheme is the ICO phishing scam. Additional risk is sometimes introduced with ICOs due to the nature of ICO investment where you send ETH/NEO or whatever required cryptocurrency directly to the ICO's address. Often people join a mailing list to be notified or reminded of when and where to send their ICO investment. All of this is fine, but from time to time an ICO's database or mailing list may be compromised. 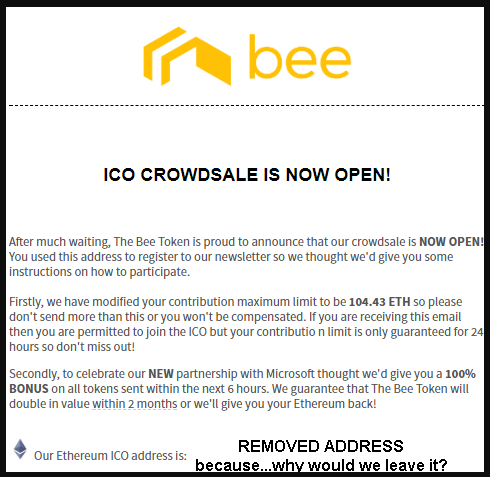 When this happens scammers will contact the potential investors on the mailing list with seemingly legitimate investment details, but instead supply the investor with the scammer's address. Thus the ICO is at risk of not raising the funds they require and the investors lose the money sent to the fraudulent address. © 2018 Caps and Traps - Our goal is to provide current cryptocurrency coin and token prices, market caps, and examples of common pitfalls (traps) in an effort to help with adoption.